Description: "Does Kreludor REALLY revolve around Neopia? Or is it Neopia that revolves around Kreludor? Are we sure the sky is blue?" Description: Basically you're trying to hook up sections of the most amount possible to get points. Description: Hi. I'm Abigail. And my brother is the famous AAA. Best gamer in Neopia. And you know something? He's kind of a jerk. Description: It's strange how after a couple weeks of this, he's already used to it. Used to being a Defender of Meridell. Description: The other lets out a nervous laugh. "Yeah, I do look different. That happens when you change sides." Description: He knows these five Neopets are just Meridell villagers just like the rest of them, but their famous exploits have been retold so many times that now they have been removed to the realm of legend. Description: It's strange how much she has changed. Before, Bob's desertion wouldn't have affected her. Description: "I know you're young, but you need to understand this. You're a dark faerie." Description: Where did they come from? What do they mean? We are here to help in the first ever compilation of the Neopian Times Random Phrases. 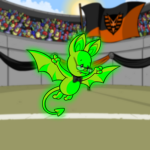 Description: With the recent reintroduction of the Korbats Lab avatar, it seems fitting that a new guide should be created to help the avatar collectors and gamers of Neopia to improve their scores! Description: All the wood, all the mortar, everything we have done is soaked. Description: spacefaerie00: Is this your latest plot to take over Neopia, Sloth? Everyone wonders about the goalie with no hands... Well, here is a simple explanation.